DENVER, Colorado – June 12, 2014 – Eaton, a leading diversified power management company, has donated over $20,000 of highly specialized electrical equipment to IECRM, a non-profit electrician training school with campuses in Denver, Loveland, and online. The donated products will be used by IECRM apprentice students in the Four-Year Electrical Apprentice Program, the region’s leading vocational training program for electricians. The donated products include motor control equipment that will be installed in IECRM student training laboratories for immediate use in the Four-Year Electrical Apprentice Program. 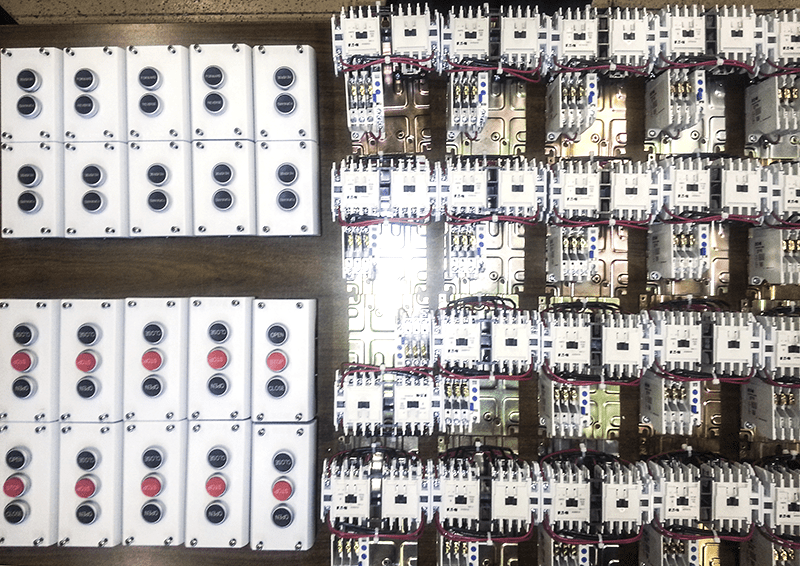 “These components are vital to IECRM for in-house lab instruction, demonstrating to our students the technical functionality of basic motor control circuitry and operation. We are so thankful to Eaton for their generous donation,” said IECRM Training Director, Paul Lingo. The products were awarded through a grant opportunity presented by the IEC Foundation, a national nonprofit organization that works with corporate partners to elevate the mission of educational excellence in the electrical industry. Eaton is a national partner and supporter of the IEC Foundation, a long-time Platinum Partner and supporter of IECRM, and a supporter of other IEC vocational schools across the United States. For more information about IECRM electrician education programs, or to learn about becoming a member of the IECRM trade association, please visit www.iecrm.org. For more information about Eaton, please visit www.eaton.com.